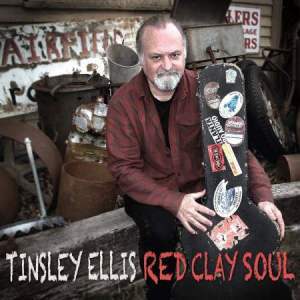 There’s rejoicing in the land every time Tinsley Ellis puts out a new album, and the release of the soulful Red Clay Soul is no exception. Though he’s been touring and recording over the past forty years, he continues to hone his craft, searching for new sounds and looking for the right notes to fill the bridge or the just-right lyrics to tell the stories in his songs. 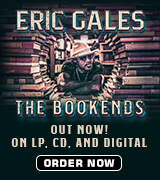 Like Duane Allman, Ellis wastes no notes, but like BB King, Ellis squeezes in as many notes as he can to his cascading lead runs; there’s an Alvin Lee-quality to Ellis’ graceful playing that washes over us gloriously in all its soul-filled beauty. Ellis heads back home on Red Clay Soul to celebrate the soul-drenched blues of his home state of Georgia. The winner of the 2015 Blues Blast Magazine Rock/Blues Album of the Year for his last release Tough Love is joined here by a holy host of soul stirring musicians: Muscle Shoals keyboardist Kevin McKendree, Oliver Wood of The Wood Brothers on guitars and vocals (as well as co-writer on “Givin’ It Up”), Lynn Williams on drums and percussion, Steve Mackey on bass, and Wendy Moten on background vocals on “Callin’.” It’s a perfect combination to provide the backing for Ellis’ Ray Charles-like vocals and his down-to-the-bone lead guitar licks. The album opens with a down-home rockin’ blues, “All I Think About,” a tongue-in-cheek tribute to narcissism: “Even though I ain’t got a dime/I’m a legend in my mind/I ain’t much but I’m all I think about/after microscopic inspection/too much self-reflection/I ain’t much/but I’m all I think about.” The song leads off with Ellis’ throbbing lead guitar with riffs that tingle and slice through to the heart of the tune. Toward the end, he delivers a Kim Simmonds-like doubling lead riff that underscores the sharpness of the tune’s faux self-absorption. “Givin’ You Up” brightens the corner where we are. It might be the album’s best track, and its double leads provide the foundation for Oliver Woods’ soulful, yearning vocals. The song is pure soul and pure joy, and you can’t stop moving to the groove it lays down. Wood and Ellis wrote the tune ten years ago and deliver an Allman Brothers-like jam on the album; the song opens with a soul shuffle on guitar and then dances off into a tune that would make The Swampers of Muscle Shoals proud. 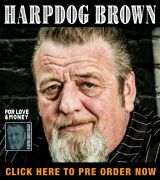 “Hungry Woman Blues” is a slow burn, replete with Savoy Brown-inflected lead riffs; on the final bridge, Ellis demonstrates the reasons he deserves the crown for blues leads with his crisp lead doublets. “Circuit Rider” delivers a rockin’ stomp with some crunchy leads in the midst of a tune about the classic blues confrontation between good and evil, as well as the overpowering nature of lust and darkness. On “Don’t Cut It,” Ellis preaches a message of unity—”lonely don’t cut it no more/can’t you see we need each other more and more/just don’t push love away”—and the common need for love. “Party of One” is a classic jazz blues shuffle about a lone wolf who’s lost in love enough not to stick around long enough with any woman: “paging Mr. bitter/party of one.” “Estero Noche” delivers a Santana-like instrumental, and “The Bottle, the Book, or the Gun” closes the album with a slow, poignant tune about reaching bottom and finding out what’s the best way up: the bottle, the book, or the gun. In one way or another all of them are bound to fail you, the singer warns in this slithering, simmering blues ballad. Red Clay Soul powerfully blends the grittiness of down-home blues with the sizzling lead guitars of the best of Southern rock (The Allman Brothers, Steve Cropper) and the ethereal, yet gritty, vocals of soul. On this album, Ellis lays down some moving grooves and some haunting instrumentals that we have a hard time shaking out of our souls once the last note finishes.